But the Bible Contradicts Itself - Doesn't It? Will You Have Seven More Years to Decide? God Doesn't Send Natural Disasters - Or Does He? The Holocaust Foretold in Scripture? "Chosen People" - Chosen for What? "Promised Land" - Promised to Whom? Why Do Churches Fail to Preach about the End? Several ancient Bible prophecies about Israel and Jerusalem have already come true in recent decades, including the foretold restoration of the Jewish state and Jewish control over Jerusalem. The remaining prophecies point to an international confrontation over Jerusalem that will lead to the battle of Armageddon, the return of Christ, and the end of the world. “They . . . go out to all the rulers of the world to gather them for battle . . . all the rulers and their armies to a place with the Hebrew name [Armageddon]” [a location in Israel]. “‘At that time, when I restore the prosperity of Judah and Jerusalem,’ says the LORD, ‘I will gather the armies of the world into the valley of Jehoshaphat’” [a location in Israel]. This book does not endorse the policies of the Israeli government. Rather, it points out Bible prophecies that condemn Israel. 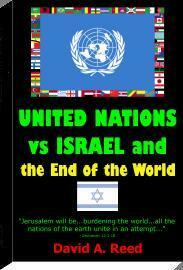 But the prophecies also cite Israel and Jerusalem as a timeline marker and as a warning for all mankind. Some two thousand years after Roman legions destroyed ancient Jerusalem and scattered the Jewish people worldwide, the state of Israel was restored with Jerusalem as its capital—against all odds, but exactly as predicted in the Bible. So, what about the remaining prophecies that all the nations will unite against Israel, mobilize armies against Jerusalem, and march into the war of Armageddon that will end the world as we know it? The prophecies that have already been fulfilled guarantee that the rest will also come true. As this book will demonstrate, the Hebrew Old Testament and the Greek New Testament both contain prophecies pointing to the same series of events. Written by different human penmen, but inspired by the same God, these prophecies agree that the world’s governments will unite to mobilize their armed forces against Israel, just before God brings an end to this world. What else does the Bible say about the time period leading up to the end? 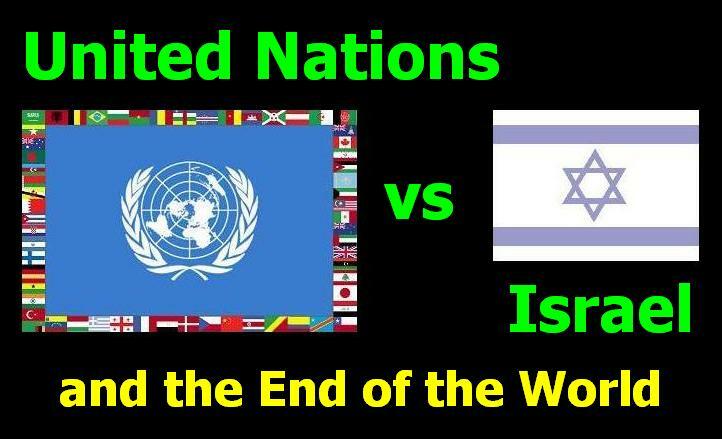 The prophecies go on to say worldwide opposition to Israel will culminate in the final war of Armageddon that will destroy all human governments. The government of the United States will cease to exist. The governments of the European Union countries will fall. The government of the state of Israel will be replaced. And most of the people on earth will be killed in the final war that these prophecies describe. But those who survive will find peace and happiness under a new world government ruled by Jesus, the Messiah. So, our survival and the future of our loved ones depend on how we prepare now for what is coming. This book explains what these ancient prophecies actually say, how today’s events are already lining up with what was foretold—as well as what you need to do to survive. Gaining life in the peaceful new world that will replace this evil world is not a matter of chance or of survival skills. Rather, it is a matter of following the instructions found in the Scriptures alongside these prophecies, as this book will discuss. David A. Reed served for a decade as a contributing editor of Dr. Walter Martin's Christian Research Journal and has authored more than a dozen Christian books. His books include Mormons Answered Verse by Verse and the popular Jehovah's Witnesses Answered Verse by Verse.